11-Piece Prospector Gold Panning Kit | BUDK.com - Knives & Swords At The Lowest Prices! Looking for a way to get some extra income? Try your luck at panning for gold! Our 11-Piece Prospector Gold Panning Kit will get you started on your way to finding that shiny stuff we all love. 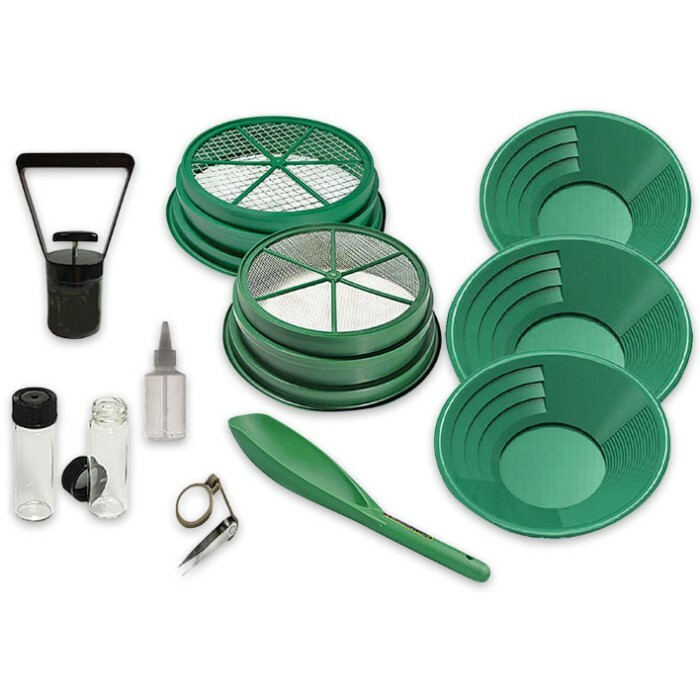 You will be able to easily classify your findings with the sifting pans that will fit on a 5-gallon bucket and the dual-riffled pans, which come in 14”, 10” and 8”. Both sets of pans are patented products. Use the magnetic separator, 5-x tweezer-magnifier and the snifter bottle to retrieve small-sized units, then store your valuables in the two glass vials for safekeeping. 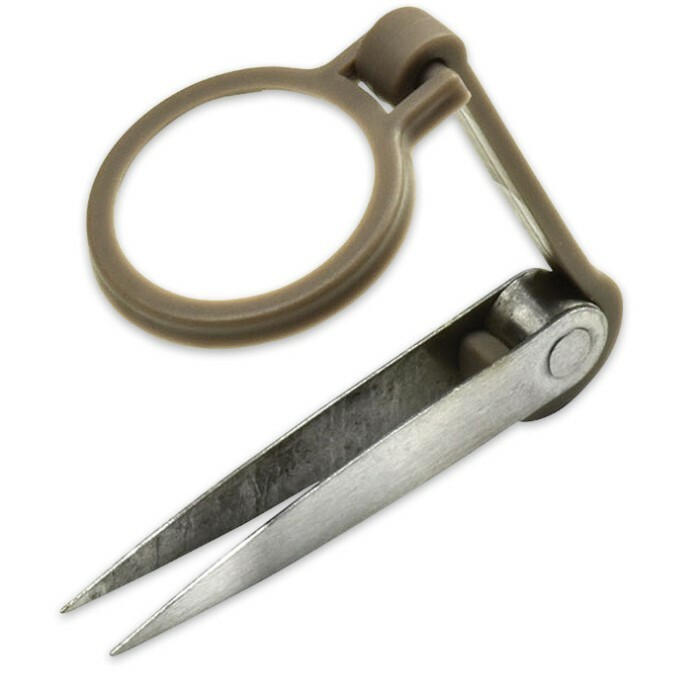 Gold panning tools are constructed of durable polypropylene plastic and stainless steel wire mesh. 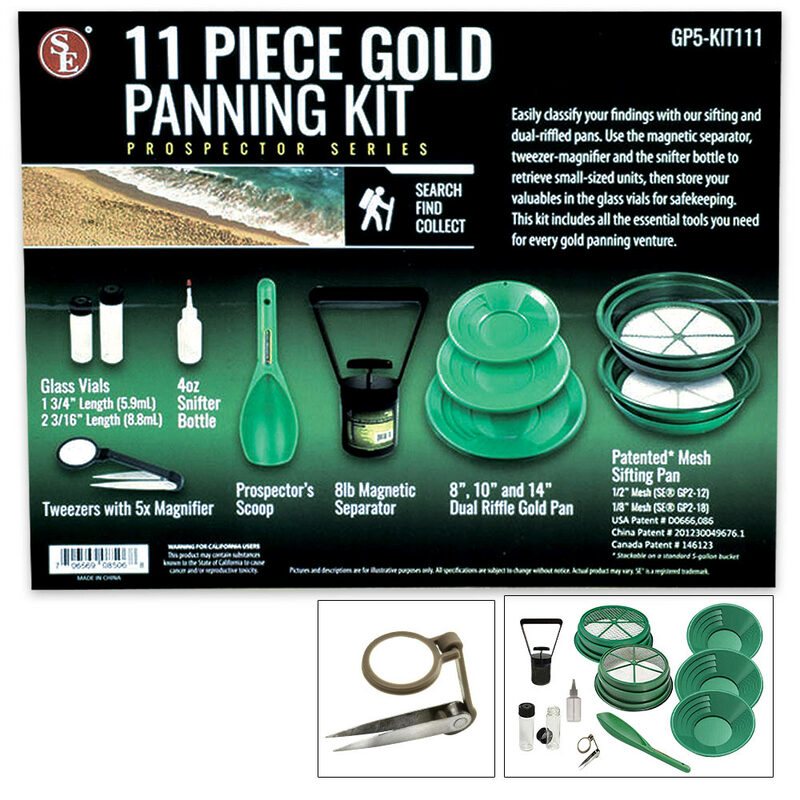 This kit includes all the essential tools you need for every gold panning venture!